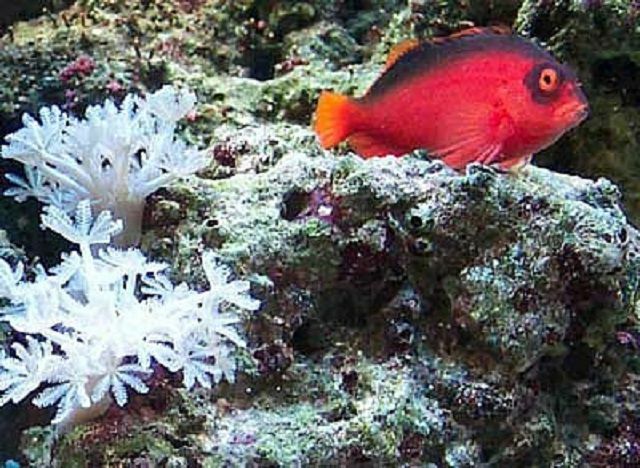 Populating your first saltwater tank can be quite a challenge. 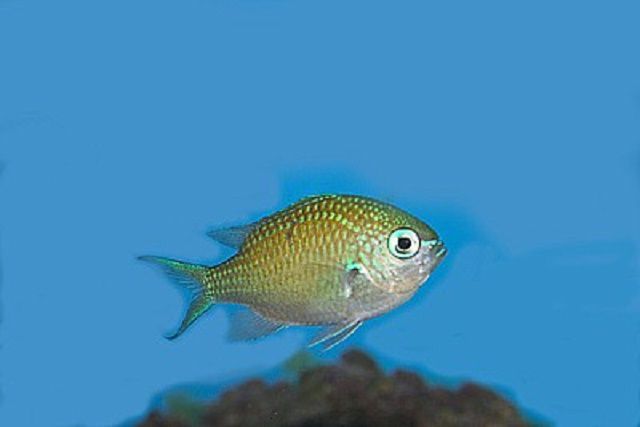 You do not want to buy a fish that will be too difficult to begin with and you likely do not want lackluster fish that will just hang around in your tank, taking up space, and sucking up food. To help you populate your new tank with beautiful beginner fish which will make your new hobby an instant success, we have highlighted some easier fish that you can be proud of. 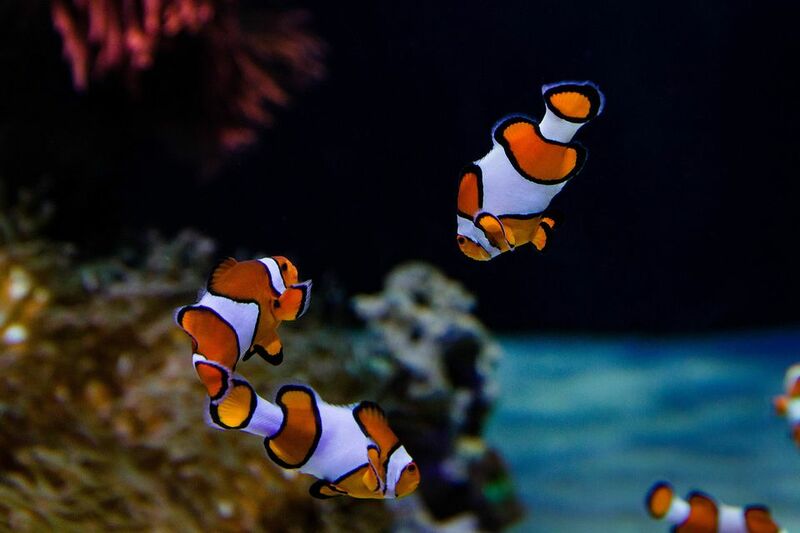 The ocellaris clownfish, also known as the false percula clownfish or common clownfish, is one of the most popular and arguably one of the easiest marine fish to have in an aquarium. One peculiarity of this clownfish is that, even when placed in a large aquarium, once it has established its territory, it will seldom stray from that area. If it makes its home in one corner of a 4-foot wide tank, it will almost never be seen at the other end of the tank. 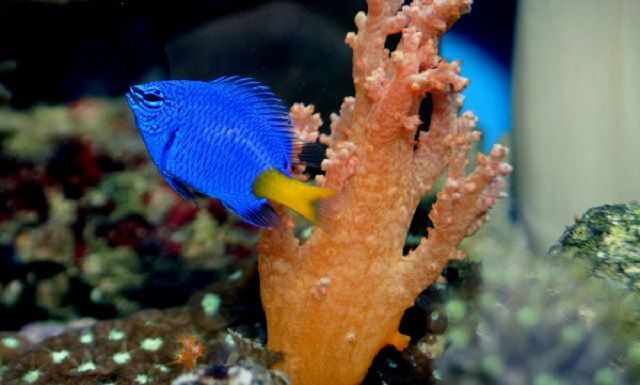 The flame angelfish, also called a Japanese pygmy angelfish, is considered one of the best choices for aquariums because it usually adapts well to captivity. It is best kept singly or in mated pairs, and with other less-aggressive fish. 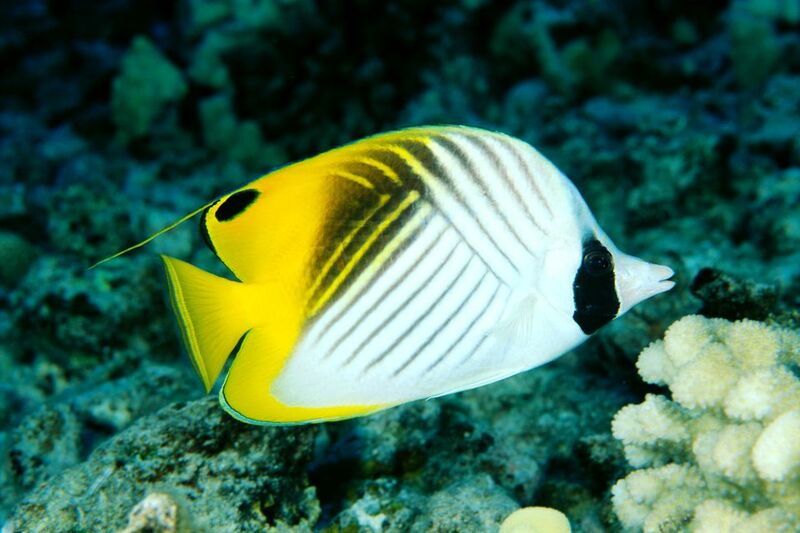 The auriga butterflyfish is also called the threadfin or cross-stripe butterflyfish. This butterflyfish is one of the easier ones to keep. Given plenty of places to hide, it will settle right into a non-aggressive tank. 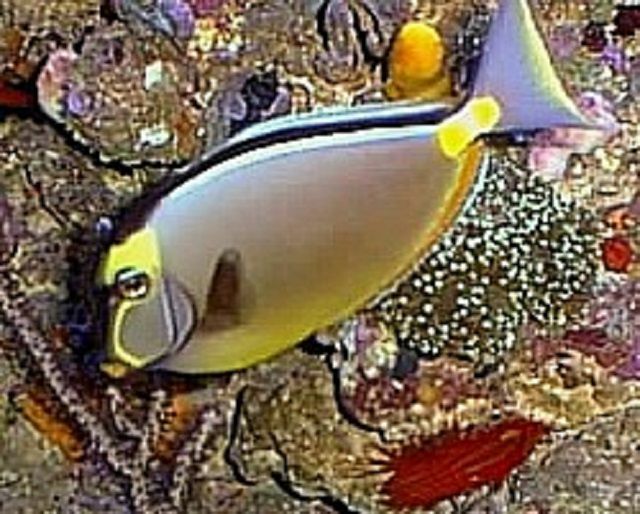 The Raccoon Butterflyfish is also called the crescent-masked or lunule butterflyfish. 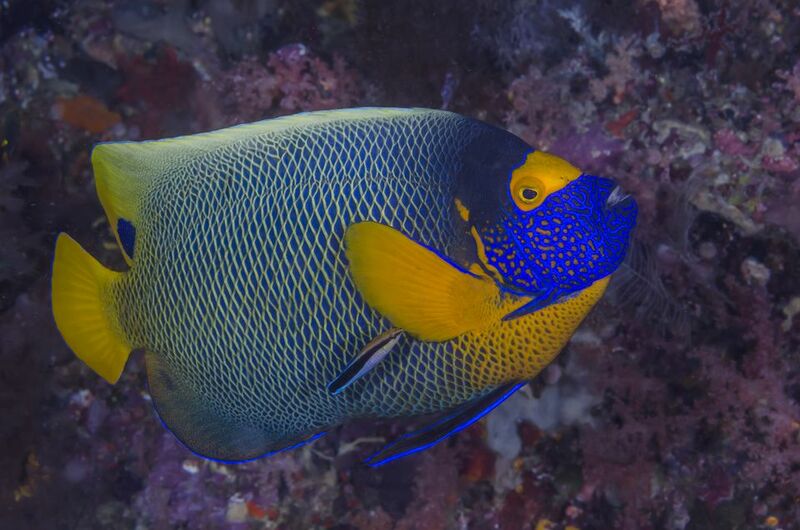 This butterflyfish is one of the easier ones to keep. Given plenty of places to hide, it will settle right into a non-aggressive tank. 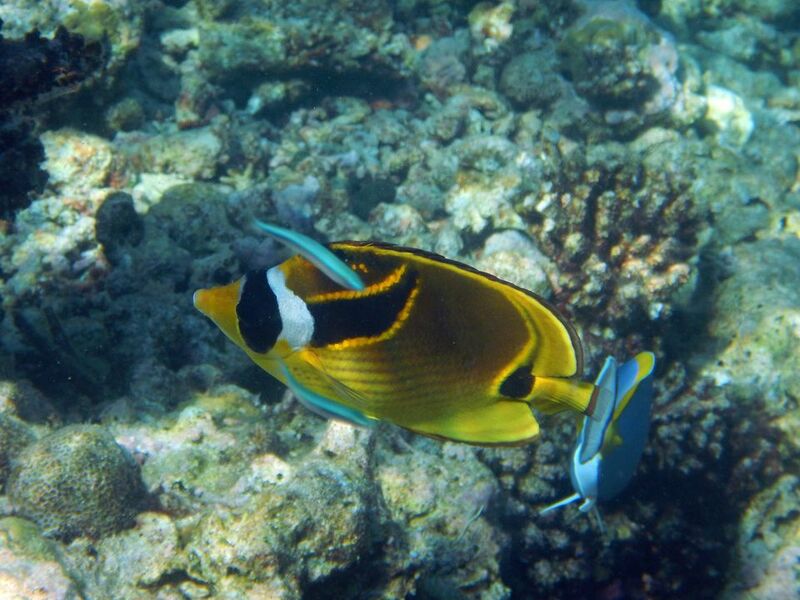 Like it’s cousin, the auriga butterflyfish, a major hurdle for this fish is to get it to eat tank foods. Observe the fish eating in a tank before buying it. Frozen mysis shrimp is a good go-to for feeding in the tank. Continue to 8 of 29 below. The true percula clownfish is one of the most popular and arguably one of the easiest marine fish to keep in an aquarium. 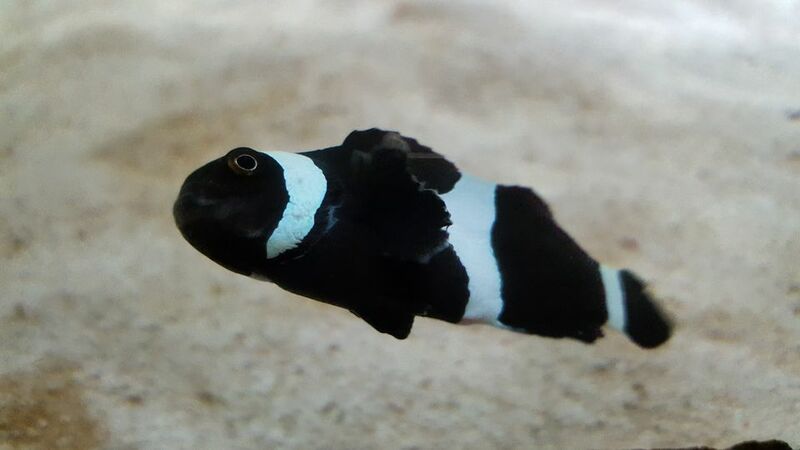 The black and white Darwin variation of the percula clownfish are only found in the wild in the waters near Darwin, Australia. 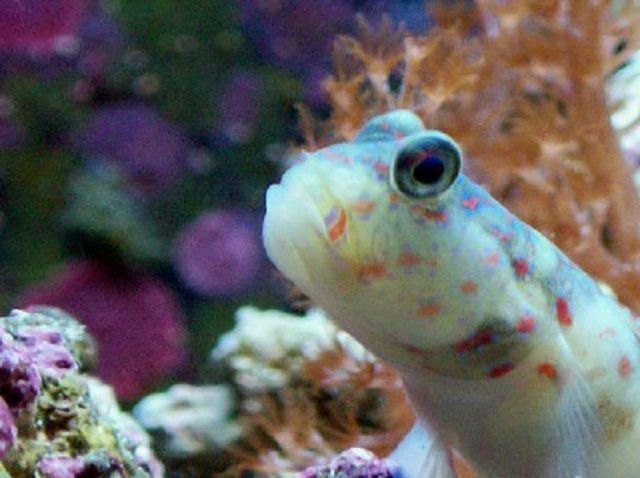 The pink-spotted watchman goby, which goes by the scientific name (Cryptocentrus leptocephalus), spends its time sifting sand to remove small food particles. It requires a 30 gallon or larger aquarium with plenty of loose coral rubble, ample swimming room, and a sand bottom for burrowing. 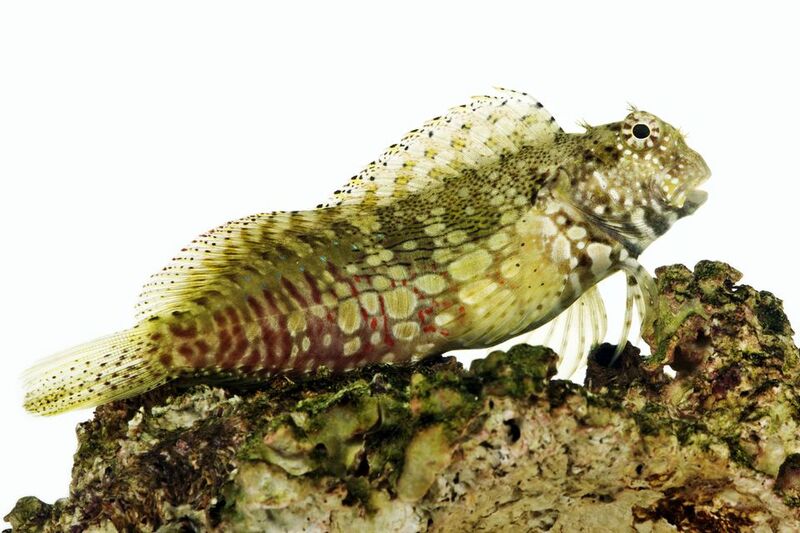 The yellow watchman goby or yellow shrimp or prawn goby is the most often purchased shrimp goby for aquariums. 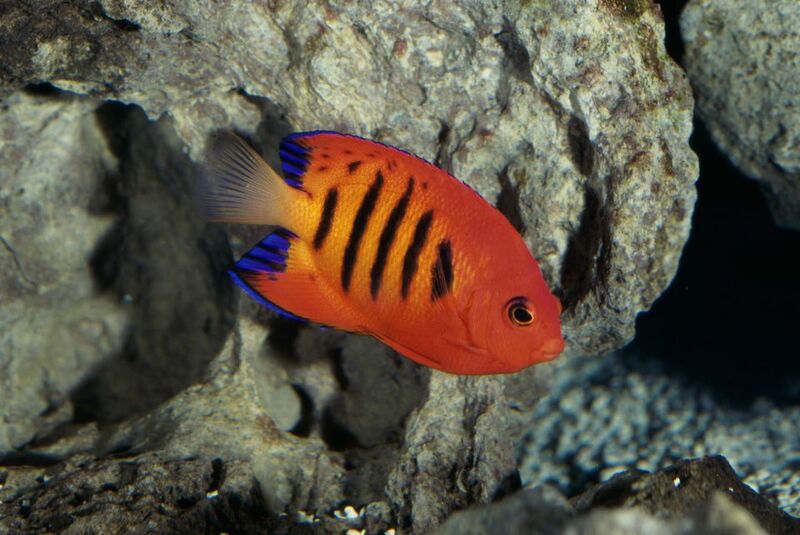 This species adapts well to aquarium life and has even spawned in reef aquariums. 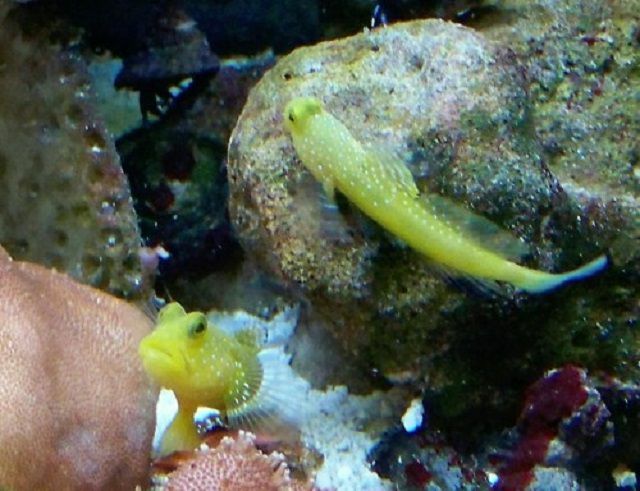 Only male-female yellow shrimp goby pairs should be put in the same (especially small) tank as these gobies will attack other shrimp gobies. 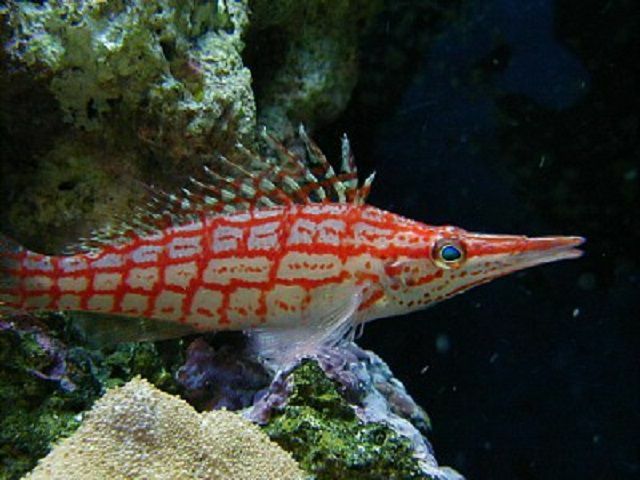 While the longnose hawkfish is a great mini-aquarium candidate, it will occasionally eat ornamental shrimp and may attack other fish with elongated bodies like firefish and dart gobies. It will also eat just about any other fish that will fit in its mouth. 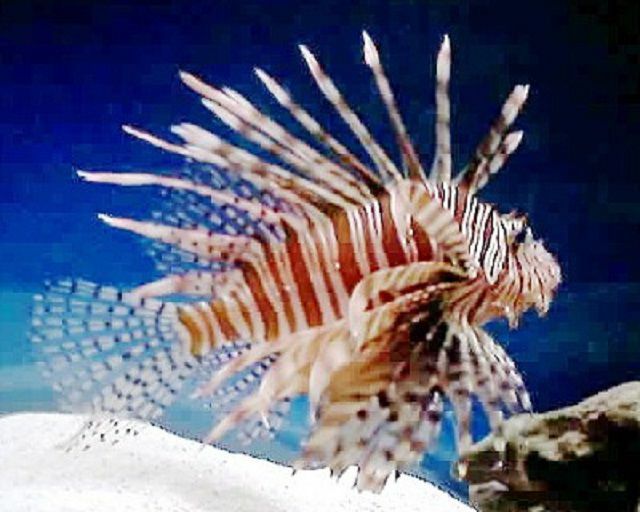 The volitan lionfish is also known as the common lionfish or butterfly cod. It prefers to spend most of its time in the open. It is quite long-lived and grows large (up to 15 inches), so it should have a large tank. 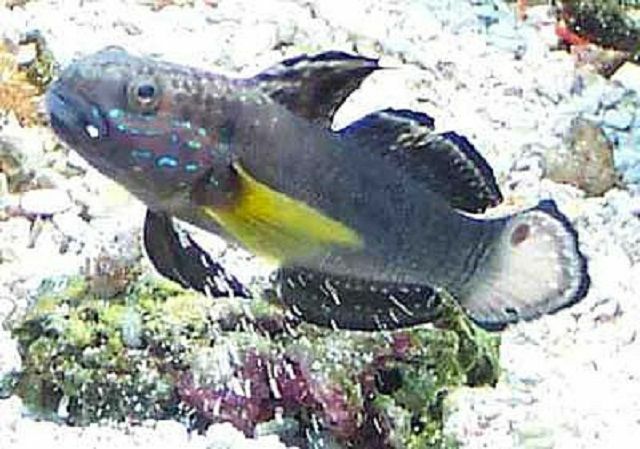 This fish will consume small fish and shrimp (whatever it can fit in its mouth), so its tankmates should be on the larger size. 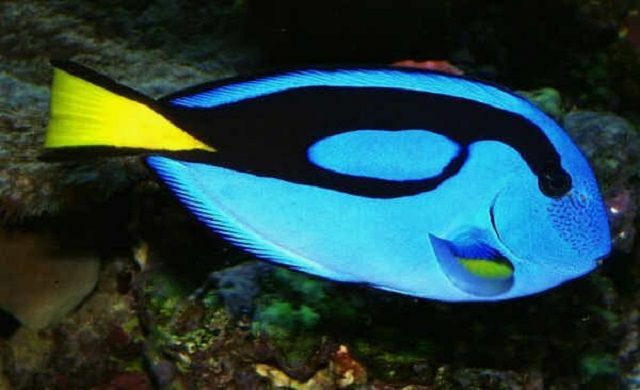 Commonly recognized as the fish “Dory” in the movie, “Finding Nemo,” the blue tang (Paracanthurus hepatus) is not overly aggressive towards other tank mates but may become boisterous in the community. Juveniles can be kept together in groups, but adults will fight unless ample shelter and swimming room are provided. 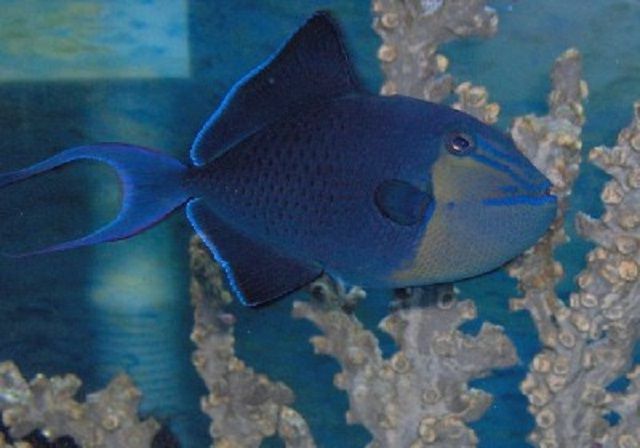 This species is prone to contracting the fish disease, ich, and is susceptible to head and lateral line erosion like most surgeonfish are. 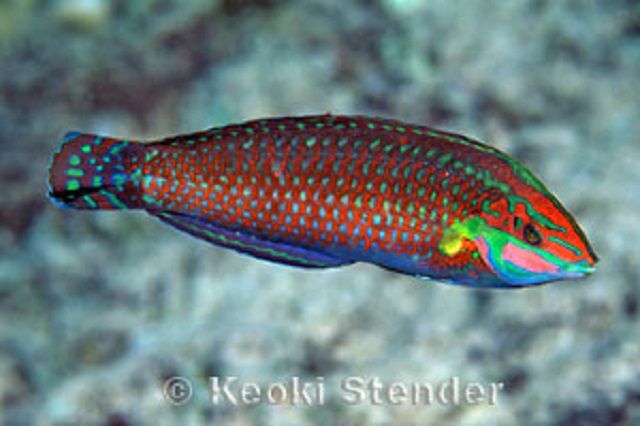 The bird wrasse, scientifically named (Gomphosus varius), is a hardy wrasse that adapts rather well to aquarium life. Only one male should be kept in an aquarium. A mating pair should be added to the aquarium at the same time, introducing the female first. Males are green colored, and females are brown colored. 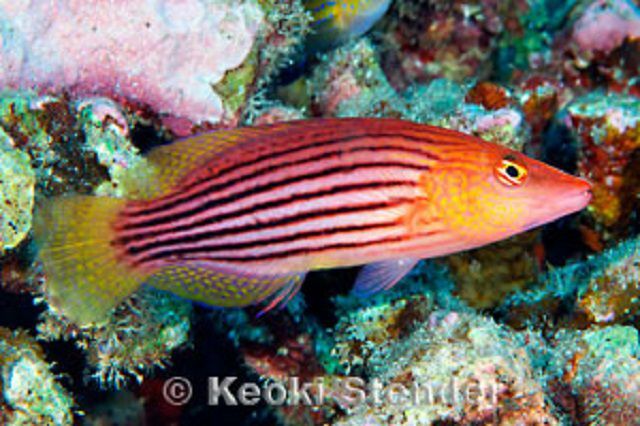 This wrasse can become aggressive towards other tank mates, especially smaller fishes, and in particular, avoid housing with small elongate shaped species, as in all likelihood, they will be eaten. 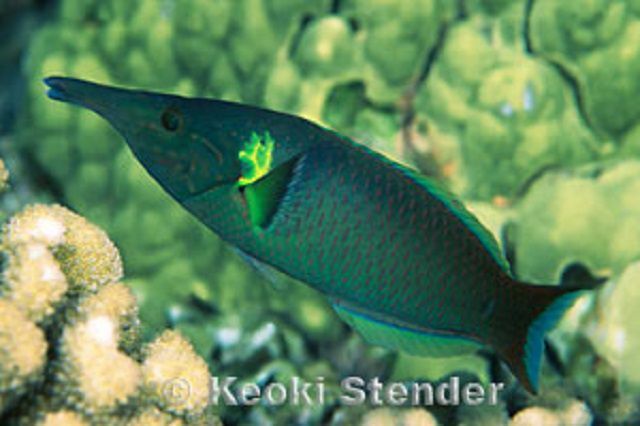 The eightline wrasse is shy at first, but once it gets used to being in an aquarium it becomes bolder and will take food out of your hand. 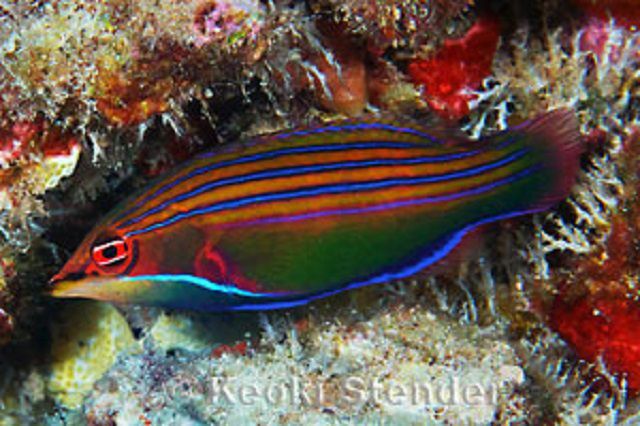 The eight-lined wrasse, so named for the eight stripes along the sides of its body, likes to hide, so be sure to give it plenty of cover. 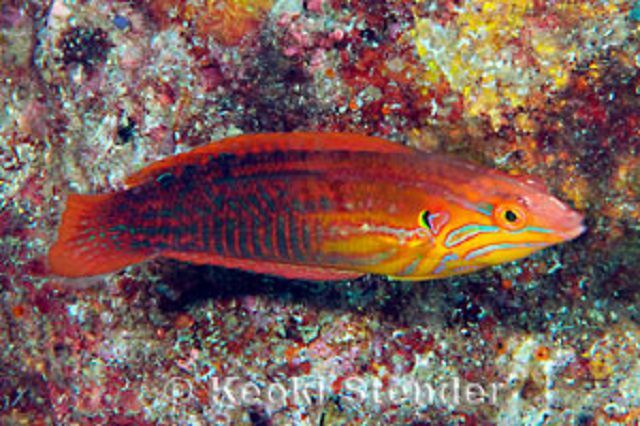 Widespread, but uncommon, the elegant wrasse is shy at first. It can eventually warm up to you. The elegant wrasse should be fed a diet of meaty foods, including mysid shrimp, finely chopped seafood, and enriched frozen foods. It should be fed twice per day. Like most wrasses, the elegant wrasse likes to burrow under the sand or substrate in your tank as a means of sleeping and protection. Keep the sand clean for them. 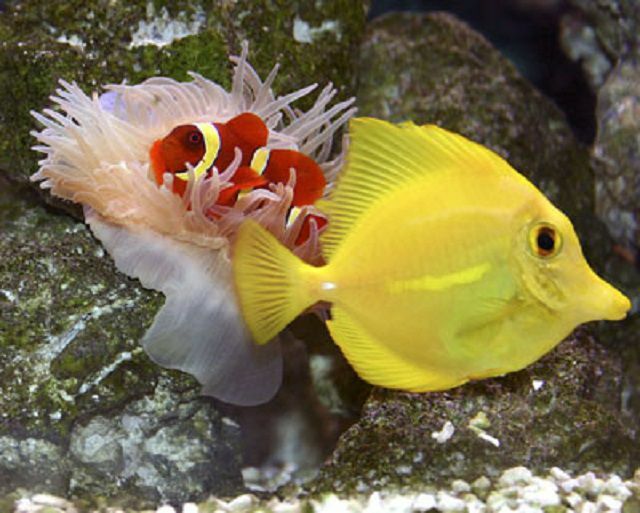 Wrasses can pick up internal and external bacterial diseases easily. Continue to 29 of 29 below. 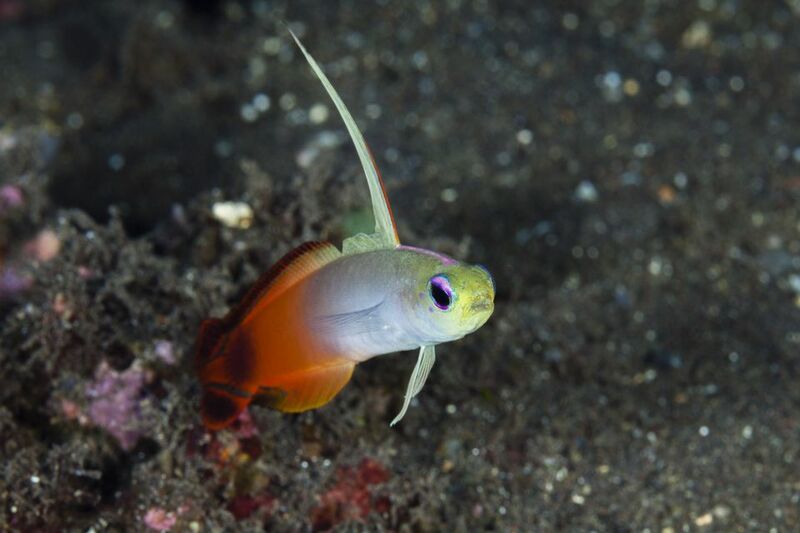 As with most wrasses, the ornate wrasse buries itself in the sand when frightened or while sleeping at night for protection. Distinctive for their stunning coloration, the beautifully ornamented Christmas wrasse from Fiji is also known in the hobby trade as the red-lined or biocellate wrasse. 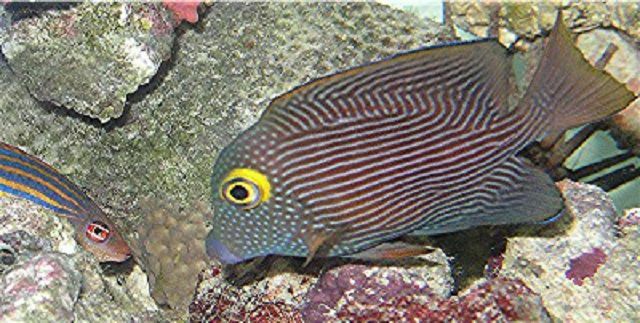 Is a non-aggressive species that is compatible with other fishes and is safe with corals, but can be a threat to fan worms, small hermit crabs, snails, and ornamental shrimp.